The Igbinedion University, Okada in Edo State, at the weekend matriculated 624 students in the 2017/2018 academic sessions.Performing the ceremony tagged “Flamingoes 2018 Set,” the Vice Chancellor, Prof. Eghosa Osaghae, urged the students to be committed to their studies.He also enjoined them to shun acts that are inimical to their academic development. The VC charged them to be hardworking and see their admission as the beginning of a new chapter in their lives.He disclosed that the institution was poised to equipping the students not only to excel academically, but also to be successful in their career. He also tasked them on entrepreneurship development, which he said would make them to be employers of labour. Osaghae explained that the free enterprise policy was the hallmark of the founder and chancellor of the university, Sir Gabriel Igbinedion. He expressed appreciation to the parents and guardian’s for their choice of the university, adding that its policy trust is a culture of excellence. According to him, the culture had produced qualified graduates in all fields, many of whom have performed well in professional examinations across all fields. He said: “As you are taking the matriculation oath, be reminded that the institution has a zero tolerance for social ills. The VC added that collaboration between the institution and the parents was needed to maintain the academic standard that the school had set. The matriculating students were drawn from the colleges of business and management studies, engineering, health sciences, law, natural and applied sciences and pharmacy. 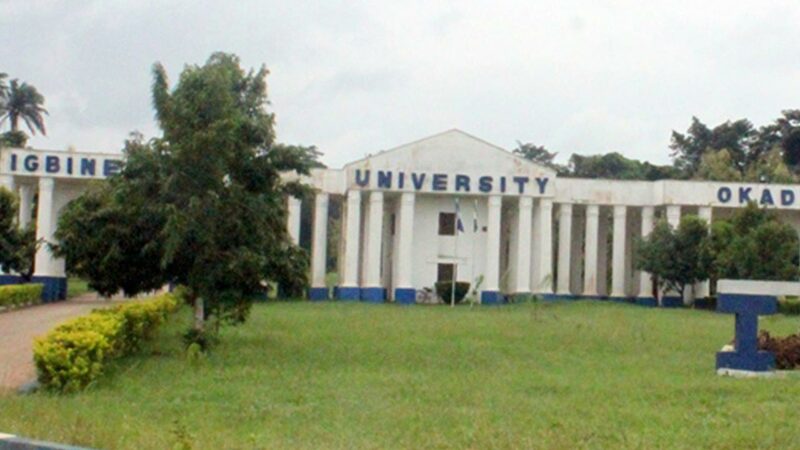 Meanwhile, the Vice Chancellor of the University of Ibadan, Prof. Idowu Olayinka has warned against the disruption of the ongoing examinations. While stating that security agents had been put on the alert, he warned against union activities, as the Senate had banned them since May 30, 2017.”But, Oyo State’s NANS Public Relations Officer, Joseph Akinsusi, denied that they planned to disrupt the examinations.He said the NANS only wrote to express concern over the suspension of union activities and the indictment of its members. The university’s Public Relations Officer, Tunji Oladejo, could not confirm the students’ position, as he failed to respond to telephone enquiries.